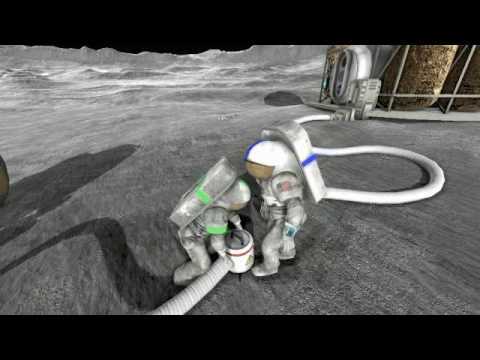 Moonbase Alpha is a game with single and multiplayer options where players step into the role of an exploration team member in a futuristic 3-D lunar settlement. Their mission is to restore critical systems and oxygen flow after a nearby meteor strike cripples a solar array and life support equipment. NASA will release the game on Valve’s Steam network on Tuesday, July 6. The Army Game Studio produced the game with development by Virtual Heroes, a division of Applied Research Associates in Research Triangle Park, N.C.
I’m getting there even though I seem to be running out of oxygen on every EVA. Enjoy a safe 4th of July everybody! !